The production and presentation of quality, in-depth and relevant regional news and public affairs programming is an important need in the Four Corners region. But, providing for this is a formidable task. KSUT understands its central role as the regional resource for national and international news as well as event and emergency information. It also is clear that expanded news and public affairs programming is a next key step in achieving the organization’s strategic vision for the future. Partnering with existing local news providers will allow for balanced coverage of issues and events from all of the communities that KSUT serves. Local news informs, engages, and draws a community together. As other media outlets narrow their scope and reduce local coverage, KSUT is working to expand the breadth of local news and give voice to multiple perspectives. Creating a forum for the discussion of important and relevant topics is meaningless if no one engages in the conversation. KSUT is committed to stay current with the array of technologies available to people to access and participate in civil dialogue. The multi-faceted plan for community engagement will include utilizing existing methods such as call-in programs, internet podcasts and online forums while embracing new and emerging technologies as they are developed with devices such as smart phones, tablets and wearable technology. Despite KSUT’s broad coverage in the Four Corners, there are still communities that cannot access our programming, including the Ute Mountain Ute tribe. KSUT has been working for years to overcome the geographic barriers that separate the two Ute sister tribes by placing a transmitter on Sleeping Ute Mountain. KSUT has recently secured broadcast licenses and transmission equipment to realize our vision to enhance and expand our service to underserved rural communities, improving our reach within Montezuma County, Colorado, and to the Navajo Nation in northern New Mexico. 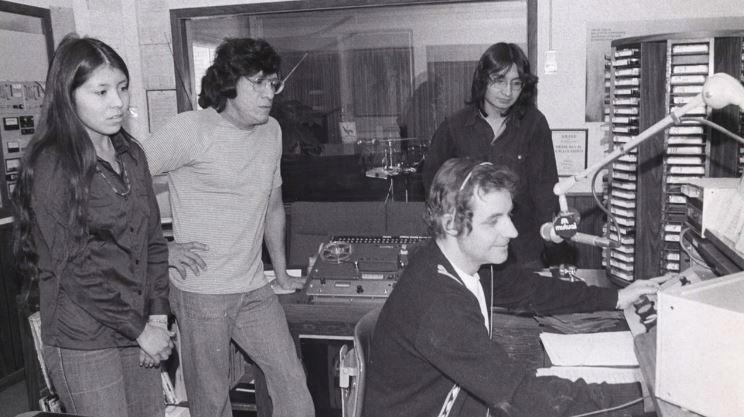 KSUT was one of just eight Tribal radio stations when it was founded in the mid-1970’s. 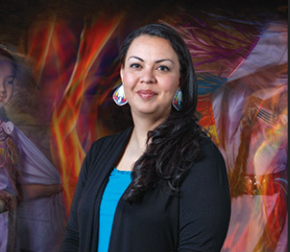 It’s original mission: to be of service to the Southern Ute Indian Tribe in disseminating information and providing access to Native culture, songs and dance to the Southern Ute Tribal membership. To this day, KSUT Tribal Radio continues to fulfill this mission and more, expanding the terrestrial signal to reach over 30,000 listeners and Native communities living outside of the Southern Ute reservation including the Navajo and Jicarilla Nations of Northern New Mexico, as well as the Ute Mountain Ute Tribe of Southwest Colorado. 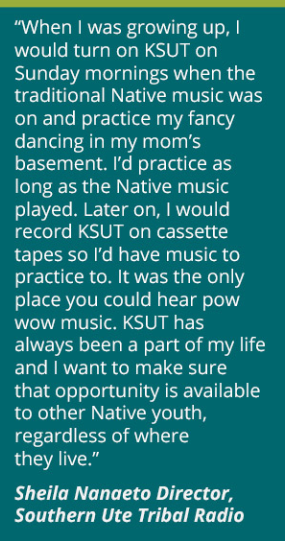 KSUT Tribal Radio was one of the first Native radio stations to broadcast via internet streaming providing a connection home for Tribal members living outside the area and exposure to Southern Ute cultural programming to anyone in the world. With the development of the Tribal Media Center, KSUT will continue to be an innovator and leader in Native broadcasting, broadening its circle of influence throughout Native America. The development of a Tribal Media Center, a key component of KSUT’s comprehensive plan, will build on the last 40+ years of experience as an invaluable service to Native Americans in our region. There are well over 500 Native American tribes identified in the United States, the vast majority of which don’t have a tribal radio station offering access to important Tribal news and information, as well as their rich oral and musical histories. The KSUT Tribal Media Center will offer broadcast and technical training and support to members of Native communities who hold a similar vision of sustaining their culture through the medium of broadcasting. 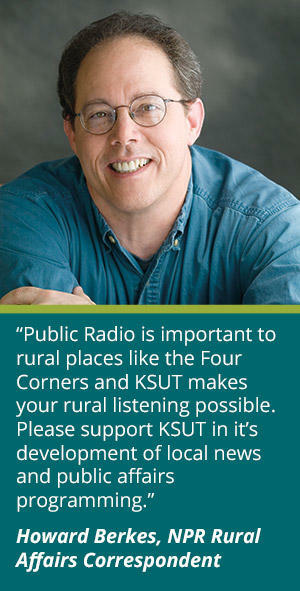 In a climate where national media conglomerates have purchased many locally owned radio stations, the role of an independent public radio station such as KSUT is of critical importance to small and rural communities. Combined with threats to funding for public broadcasting and an unstable economic environment, it is vital that KSUT plan for its future through the creation of the Carlos Sena Legacy Fund.